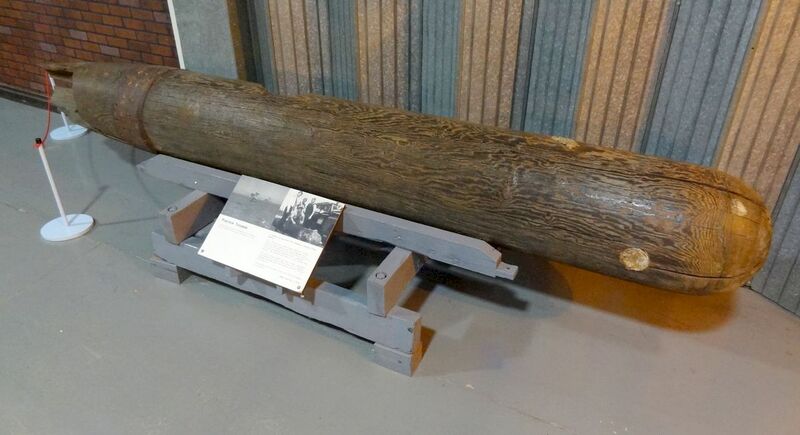 The RAF Torpedo Development Unit was made up of an armed services section who maintained and flew the various torpedo launching aircraft, a civilian section of scientists and engineers, plus workshops. The civilian offices were wooden huts on the old parade ground within the Victorian Fort Grange which gave its name to the air station R.A.F. Grange. It is now part of HMS Sultan. 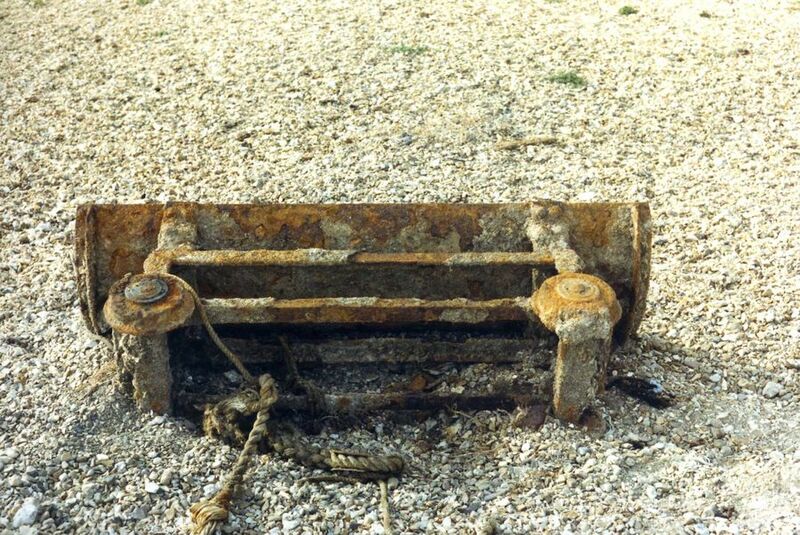 The Torpedo dropping Zone was at Stokes Bay and the Admiralty made use of Stokes Bay pier to retrieve the dropped torpedoes and to deploy the targets. 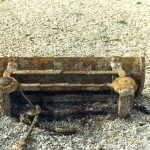 To get to the boat necessitated descending a flexible rope ladder hanging under the pier and boarding the boat as it went past. 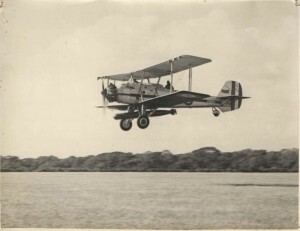 During the Battle of Britain, the T.D.U. workshops were bombed and they moved to a temporary workshop beneath the Ashley Wallpaper factory in Lees Lane, Gosport. 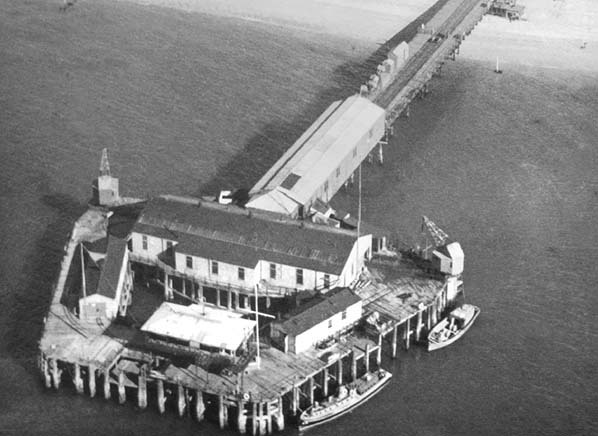 Stokes Bay Pier in use by the Torpedo Development Unit post WWII. 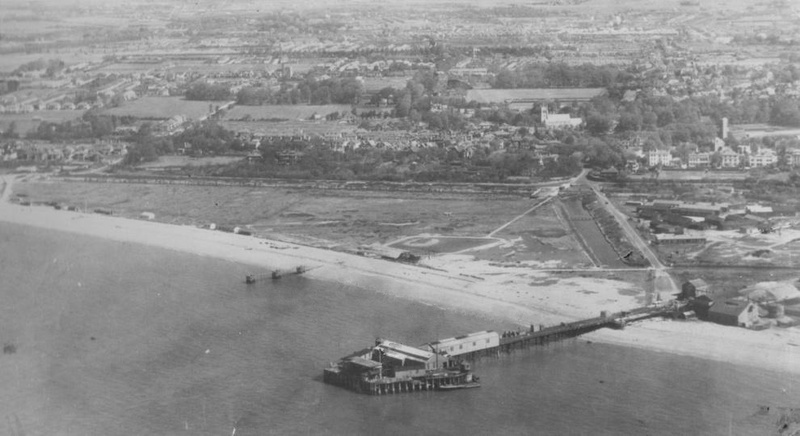 Between 1929 and 1932 the Torpedo Development Flight flew out of RAF Station Gosport, situated at Grange Airfield between Forts Grange and Rowner at Gosport. 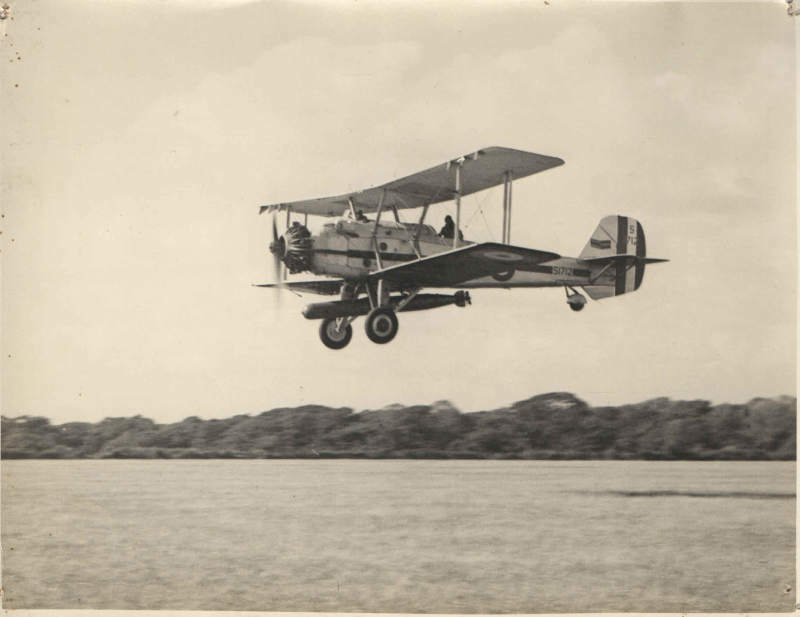 On 2-11-29 No.36 Squadron (Hawker Horsleys) arrived from Northolt for torpedo dropping. 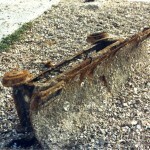 It departed 14-11-1929. The Torpedo Training Unit (Feb 1937 – 19 Mar 1940) also flew from RAF Station Gosport. 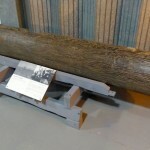 The Torpedo Development Unit (1939 – 11 Nov 1943) then used the station and finally an armed services section known as the Air Torpedo Development Unit (Flight Section) ATDUFS maintained and flew various aircraft out of Grange airfield and launched torpedoes at the Dropping Zone located off the beach at Stokes Bay from Nov 1943 – 18 May 1956. The first successful land plane to be used as a torpedo- bomber was the Sopwith Cuckoo. This was followed in succession, by the Blackburn ‘Swift’, ‘Dart’, ‘Ripon’, ‘Baffin’, ‘Shark’, and ‘Fairey Swordfish’. In addition to these the Torpedo Development Flight also used the Hawker ‘Horsley’ and the Vickers ‘Vildebeeste’. 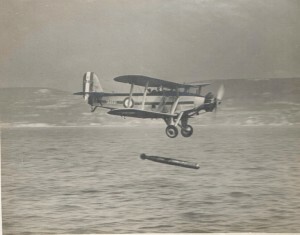 Numerous others underwent torpedo trials at Stokes Bay, such as the Blackburn Firebrand TF.III in 1945 and the Bristol Brigand. 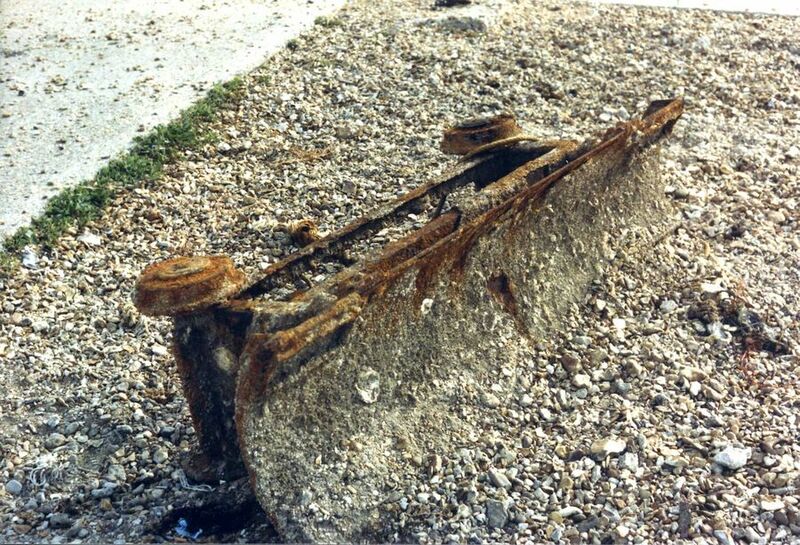 In 1947 the ministry of Supply informed Gosport Borough Council that it wished to continue using Stokes Bay sea area as an aircraft range for research on torpedoes and torpedo installations in aircraft, as an air to sea range, and aircraft torpedo development unit; The Council agreed but wanted assurances that no torpedoes were to be dropped on Stokes Bay Beach! Vickers Vildebeest torpedo bomber of B Flight, RAF Gosport. A formation of Fairey Swordfish Mk.I aircraft from RAF Gosport. 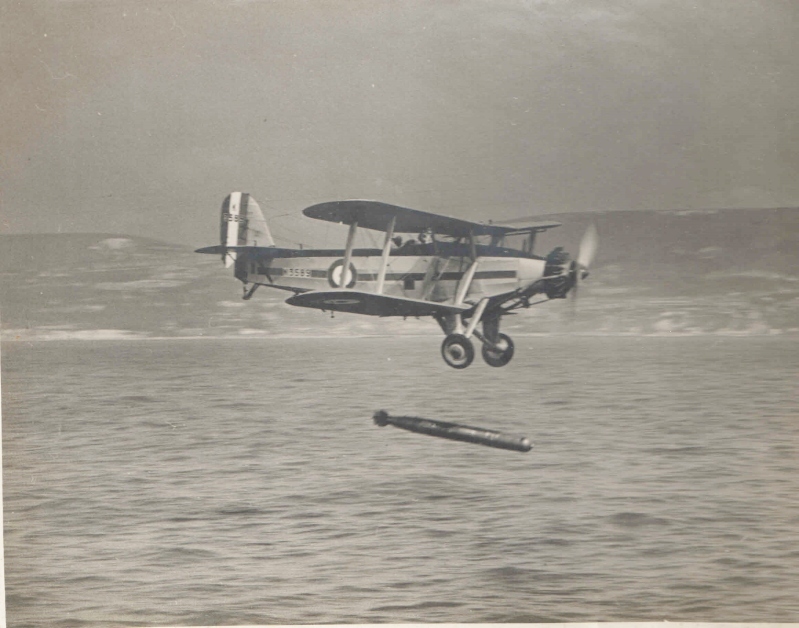 A Fairey Swordfish Mk.I from the Torpedo Training Unit at Gosport drops a practice torpedo during training. A formation of five Fairey Swordfish Mk.I aircraft from the Torpedo Training Unit at Gosport. 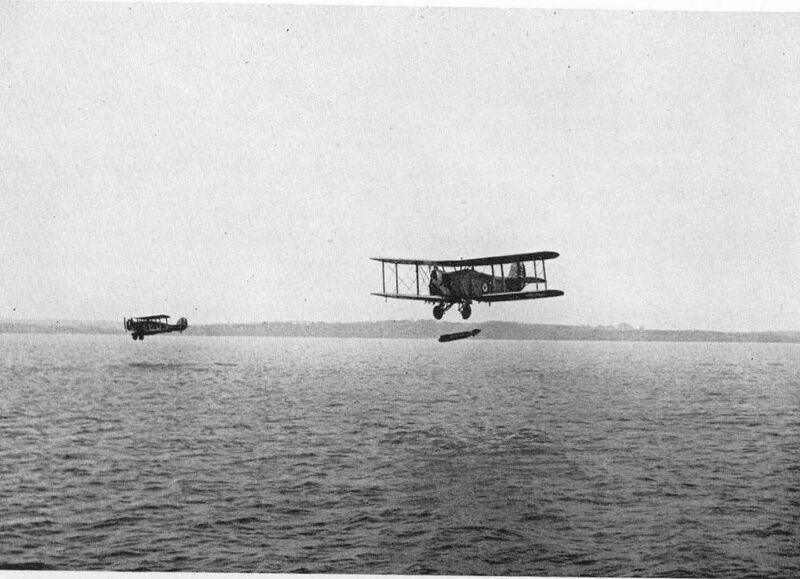 A formation of Fairey Swordfish Mk.I aircraft from the Torpedo Training Unit at Gosport.